To the north of Miami Beach are a collection of equally acclaimed Sunny Isles Beach condos. 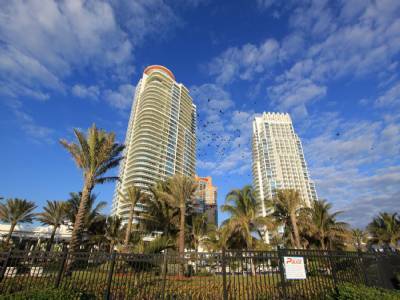 Unlike Miami Beach condos which all have wildly varying locations, all of the Sunny Isles Beach condos are either by the beach or right across the street from it. In this case, we'll be looking at Jade Beach, one of two “Jade” condos that's known for being ultra modern in both design and amenities. Within the Jade Beach condo you'll find unit 1504, a three bedroom and three bathroom residence with more than 2400 square feet of living area. If you like unobstructed vistas of the oceanfront, step outside to the balcony and prepare to be amazed at the jaw dropping views from this direct oceanfront unit. You'll also find features like marble floors, stainless steel kitchen appliances, walk-in closets and of course the many amenities that are provided by Jade Ocean itself. 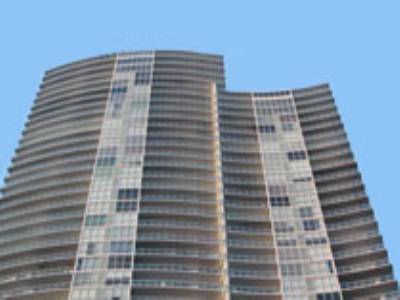 To learn more about unit 1504 in Jade Ocean or other buildings including Miami Beach condos, please click here. Generally speaking, Miami Beach condos have a host of amenities like pools and fitness centers and then deviate a little bit from that. The Fontainebleau is one of the few buildings to break from this convention; boasting everything from water sports activities to dance clubs and much more! It's also a great place to live with many units and floor plans to choose from. Unit 1801 is one of the several Miami Beach condos within the Fontainebleau condo. It has three bedrooms and bathrooms and has over 2400 square feet of living area. Interestingly, the unit is actually being sold as one of three individual units, thus allowing even more space and even better views. Features within include four terraces, granite kitchen countertops, marble bathroom with Roman tub and furnishings already included. 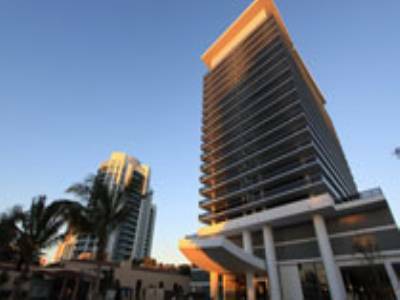 To learn more about unit 1801 at the Fontainebleau as well as other Miami Beach condos, please click here. For today, let's move up north away from the Miami Beach condos and focus on Bal Harbour. This “village” as it's called is just north of Miami Beach and while tiny in comparison to the famous barrier island, its affluence is arguably on par with Miami Beach. While it does have homes, condos make up the bulk of Bal Harbour real estate. One of the more popular Bal Harbour condos is Majestic, located at 9601 Collins Avenue. This edifice has many amazing units for sale, including a penthouse unit (PH301) that we will be covering. 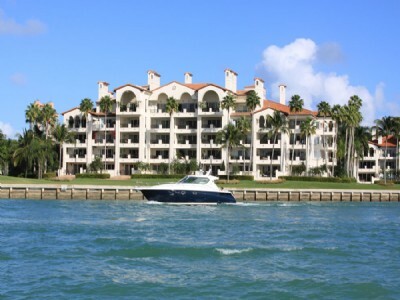 The penthouse unit of Majestic has five bedrooms and five bathrooms. The penthouse has over 3,400 square feet of living area and comes with features like marble floors, eat-in kitchen, terraces overlooking Biscayne Bay, granite kitchen countertops and his and hers closets. 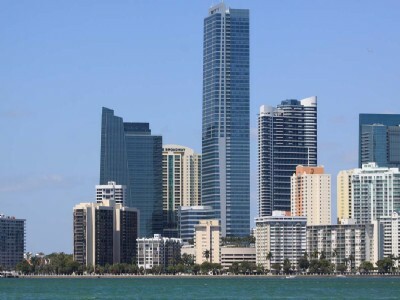 To learn more about the amazing penthouse unit of Majestic condo or to check out other Miami Beach condos, please click here. 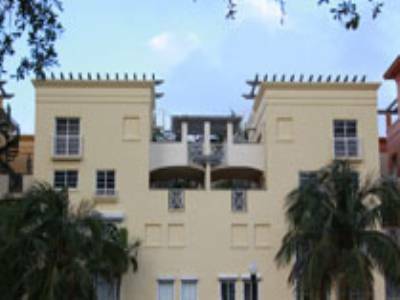 It's easy for Miami Beach condos to become standard when viewed from their exterior. Thankfully, the Blue and Green Diamond condos are easily distinguishable. All you need to do is raise your gaze to the top of each building to notice the blue and green beacon atop each building. To really get a feel for its uniqueness, take a look at it when night falls. Today we'll be looking at the penthouse suite of the Blue and Green Diamond. The unit boasts over 1960 square feet of living area and has three bedrooms and bathrooms. A major highlight of the penthouse is the direct oceanfront, city and bay views that you can enjoy from the ultra spacious wraparound balcony. You'll also notice a small dining table next to the floor to ceiling windows, walk-in closets, and jacuzzi tubs. This definitely puts conventional Miami Beach condos to shame. To learn more about the penthouse unit (PH4203) at the Blue and Green Diamond or to learn more about the buildings, please click here. There's the neighborhood of Indian Creek as well as its spiritual sibling, the building called 6000 Indian Creek. 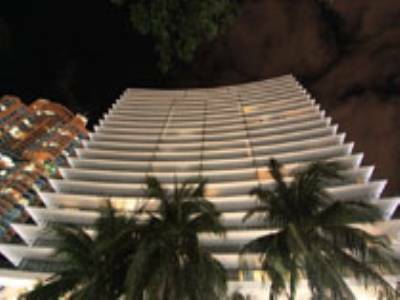 This 25 story edifice has just 35 Miami Beach condos with mostly two and three bedrooms available and also has an ultra modern design, having been built in 2007. 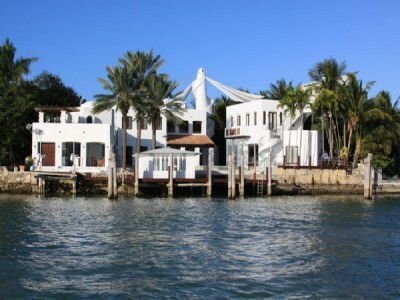 As for the location, it's right across from Allison Island as well as La Gorce Island and Allison Park. Today we'll be looking at unit 524, one of the three bedroom Miami Beach condos within 6000 Indian Creek which also has three bathrooms. Inside you'll discover just over 2000 square feet of living area plus an array of top of the line appliances and deluxe features within the bathroom. One of the unit's most amazing features is the 1300 square foot rooftop terrace which not only provides gorgeous views but also plenty of space for a small table and chair so you can sit back with a drink and enjoy the ambiance. To learn more about unit 524 and the 6000 Indian Creek condo, please click here.